He found the Forster twins in the face of Rob Jones, the junior footman. “We get the card room. We always do. It’s ourn,’” Hiram Forster shouted at the boy. The card room always had good hunting for stray coins and half-empty wine glasses. Valuables were meant to be turned in, but they all knew Fowler would pocket any coin they handed over. Harold shook his head. If it was up to him, he’d fire the pair of them. As they walked away, something caught his eye. “What’s that sticking under your shirt, Forster,” he demanded stepping smartly to grab Hiram by the arm and spin him around. He reached under the shirt and pulled a silky white garment out, a pair of lady’s lace drawers. “Wear them often?” Harold sneered. “Yah. Yer sister,” Grady laughed. They scurried off and Harold shook his head. He peered up at the clock on the Octagon. Half-past ten, and still no sign of Fowler. “Do I need to turn this in?” Rob asked. He held up one black leather glove. Harold nodded at him. “Sorry to say it after those two, but yes. You know where it goes. 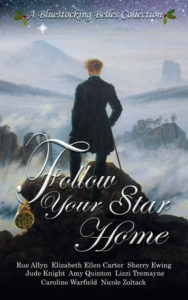 A gentleman might ask for that.” Rob glanced at the departing Forsters and nodded his understanding. Maudy approached him when he went back about his work. “Here’s the flannel square, Mr. Randal. Bit damp yet.” She beamed at him, and his heart warmed. “Put it on the subscription desk, Maudy. We’ll see what Fowler wants to do.” If the fool turns up to work. He had moved the second row of chairs and was staring on the back one when Maudy returned. “It will go faster if I move them and you mop,” she suggested. He should send her into the tea room, he knew, but what harm in the pleasure of her company? They set to work, and it went quickly, until he found himself mopping the very back row by the wall while Maudy moved the last of the chairs. He looked over to see her bent over, gifting him with the sight of her rounded little behind, and rattling his brain so that he didn’t hear what she said. Harold didn’t blame her but, as it turned out, she didn’t have to. The Master of Ceremonies, Old King himself, appeared on the scene just as they got the chairs back in their proper places. And it just noon—odd that. “Good man—Randal, is it? The men told me you sorted the work out.” He must not have spoken to the weasels in the musicians gallery. “Have you seen any sign of Fowler?” King asked. “No problem, Sir. We don’t want our Assembly Rooms besmirched,” Harold said. “Yes, Sir. I know I can.” Harold stood a bit taller. Over King’s shoulder he saw Maudy smiling at him. If a promotion was on offer he could afford—well, best left unsaid for now. “Yes, Sir. 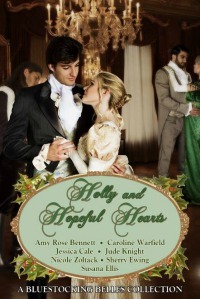 A night for lovers that was.” Maudy’s smile spread into a cheeky grin. Next year might be even better. 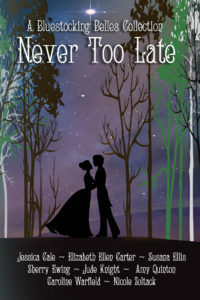 For Part 1 of After the Ball is over, see last Wednesday’s post. For more about Valentines From Bath, the box set of five stories this is the Afterword to, see our joint project page. 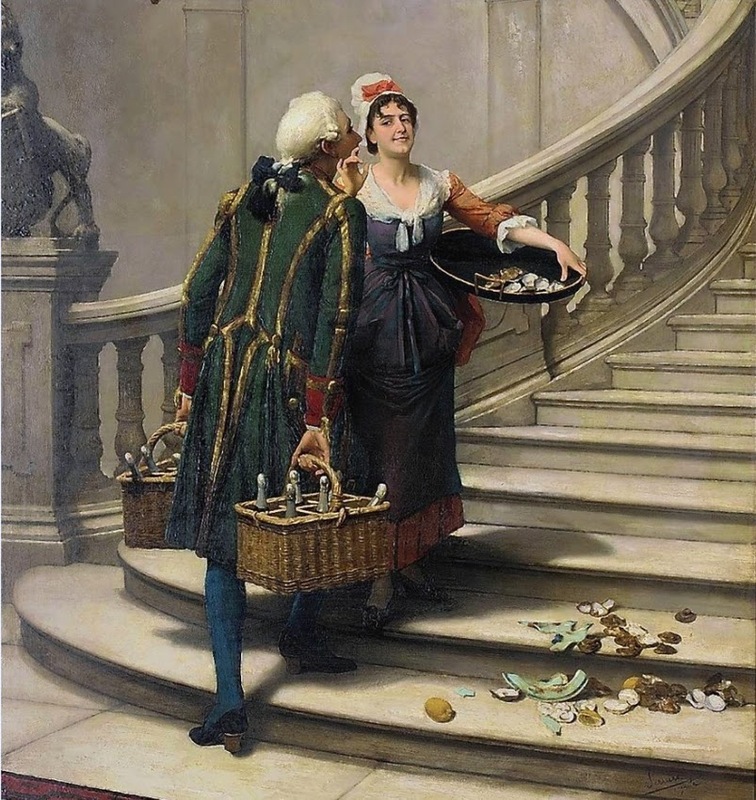 For the Foreword to Valentines From Bath, see an earlier Tattler post. When the toffs dance the night away, they spend the morning in bed. 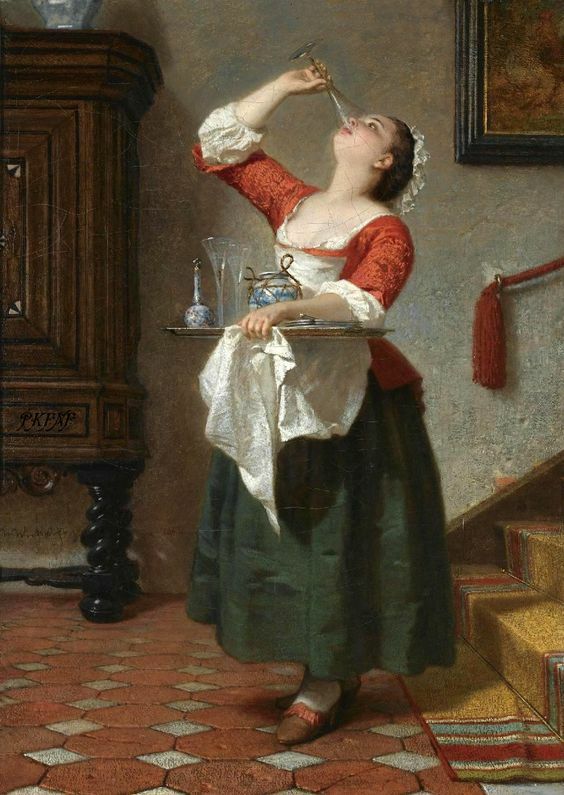 The folks who run about to take their coats, clean their spills, and carry trays laden with delicacies—not to mention deliver their billets doux and right scandalous invitations—have no rest at all. Harold Randal woke at dawn, stuffed his rumpled shirt into his trousers—no need to look sharp during cleanup—and gulped down coffee from a tavern on his way to work. He didn’t worry about being late; that snake Fowler wouldn’t waltz in before ten. Harold prided himself on being better than that. He would have to get the lazy Forster twins moving on his own or they would be at it all day. He found the key in its spot under a brick by the tradesmen’s door and let himself in. The caterer’s kitchen looked well enough. They always take their glassware and leave their bill. He wandered down the servants’ passageway, under the stairs to the musicians gallery, and into the Octagon. Sun streamed through the east windows, and he wished it didn’t. They had a long day ahead. A soft sound from the ballroom startled him. He thought he was alone. He peeked around the door to see Maudy, the shy little maid of all work, scrubbing away at a doorknob with an odd little scrap of flannel. Pretty little thing was Maudy, but how did she get in? “What were you doing under the counter, Maudy?” he asked. He fetched a mop and began cleaning the floor to the ballroom, moving chairs back as he went. In a half hour, he had a pile of dust, used tokens, and crumpled valentines fetched up in the middle of the floor. At least four of the gents had their sentiments rejected, near as Harold could see. By that time most of the crew had wandered in. Most needed no direction. They set about dusting, scrubbing and polishing as needed. He reached the rows of chairs where the dowagers and wallflowers generally sat and began moving chairs so he could mop. He hadn’t gone more than a row deep when he heard a scuffle in the Octagon room. 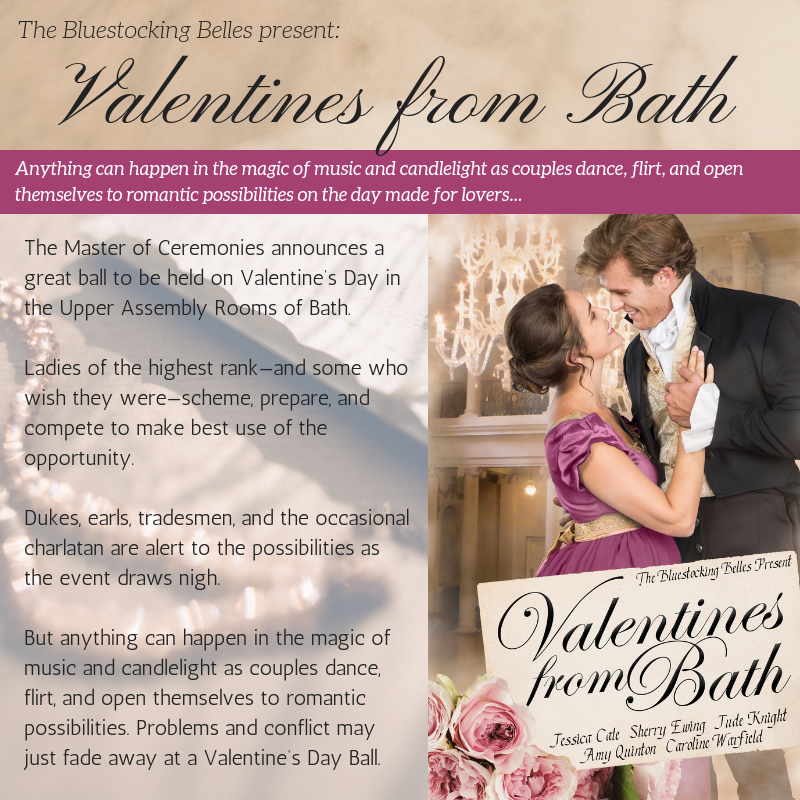 This Teatime Tattler post is the Afterword from the Bluestocking Belles’ new book, Valentines from Bath. We’ve already given you the Foreword, in an earlier Tattler piece, Will You Be My Valentine.